U.S. President Barack Obama delivers remarks about the economy in the Brady Press Briefing Room at the White House June 8, 2012 in Washington, DC. Obama called the last-minute announcement to talk about the domestic and international economies and encourage Congress to pass his "paid-for ideas" on job creation. 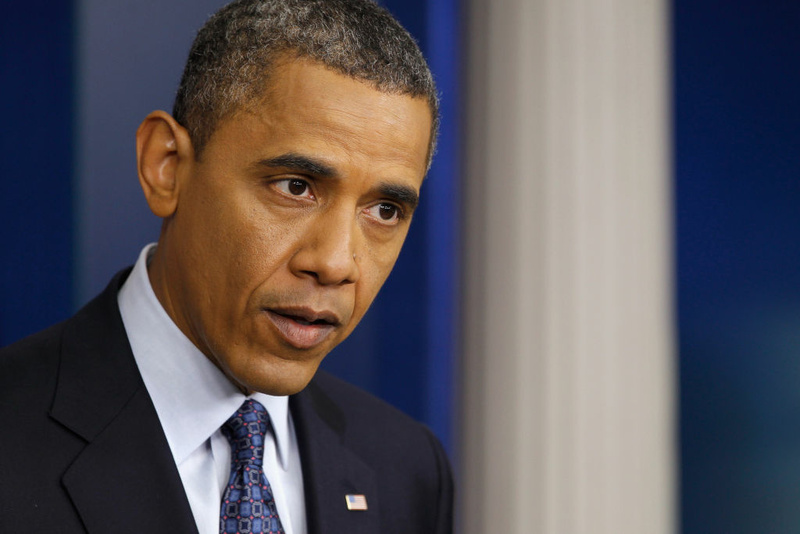 Early today, President Obama will announce several major changes to immigration policy. We speak to Ruben Navarette about the possible repercussions. Also, the Greeks head to the polls this week to elect a new government, will it mark the end of the Euro? And the Jerry Sandusky trial has seen several alleged victims testify this week. And Rico Gagliano and Brendan Francis Newnam, hosts of KPCC's Dinner Party, share their weekly conversation starters. And KPCC's Meghan McCarty has your weekend plans all set with Weekend Alibi.